Ruggedized PTT-capable handsets that have QWERTY keyboards are few and far between. 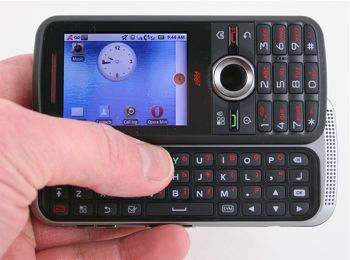 It's because of their scarcity that Motorola cooked up the i886, a new sideways slider that offers protection against daily abuse and a full physical keyboard for easier messaging tasks. Does this combination really make for the killer device some users want? Phone Scoop finds out.